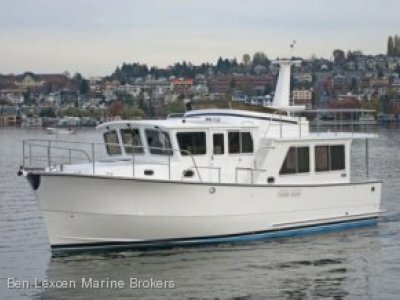 48' Conquest Ex Cray Conversion Fibreglass Vessel launched in 1989 and powered by fully rebuilt 122D Volvo's with only 30 hours since rebuild. 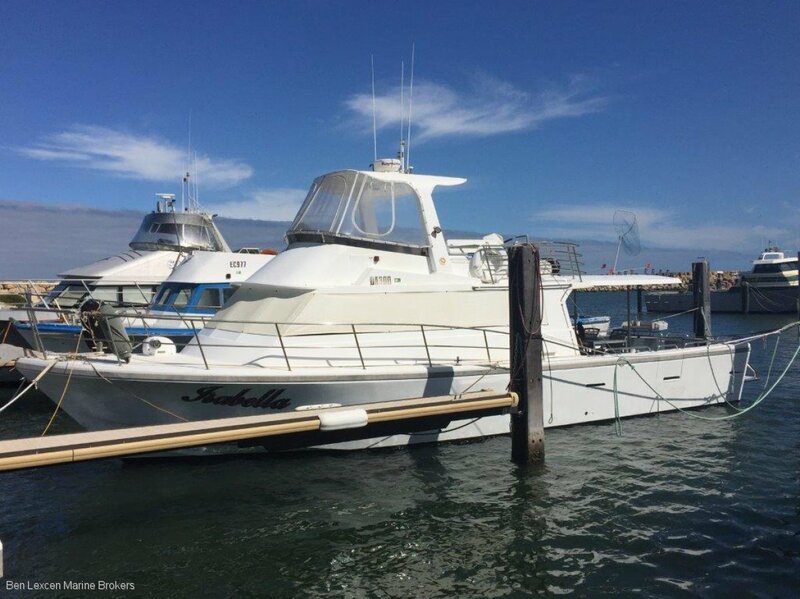 480 hp Turbo cruising 15 knots @ 2000 rpm 30-40 lph, top speed 18 knots. 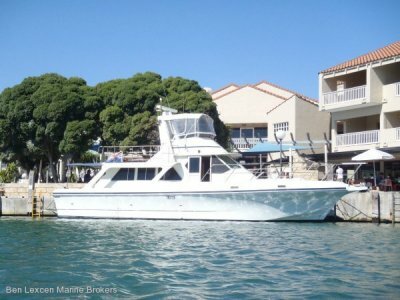 1800 litre capacity of fuel and 400 litres of water, Raymarine Radar, GPS and Autopilot and an Onan 6kva Genset. 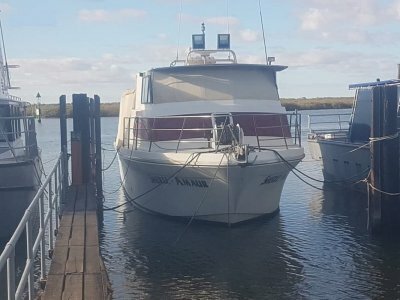 For anyone looking for a great converted vessel, for a week away to Rottnest or Abrohlos Islands, this is the ideal vessel for you with nothing to spend. 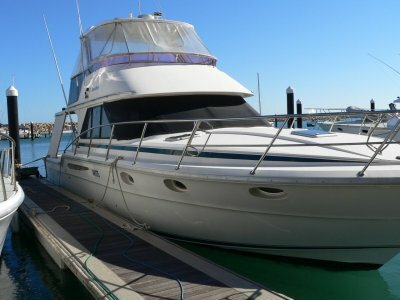 Please call our office to arrange an inspection.